Blue jay contorts to get some yummy treats! 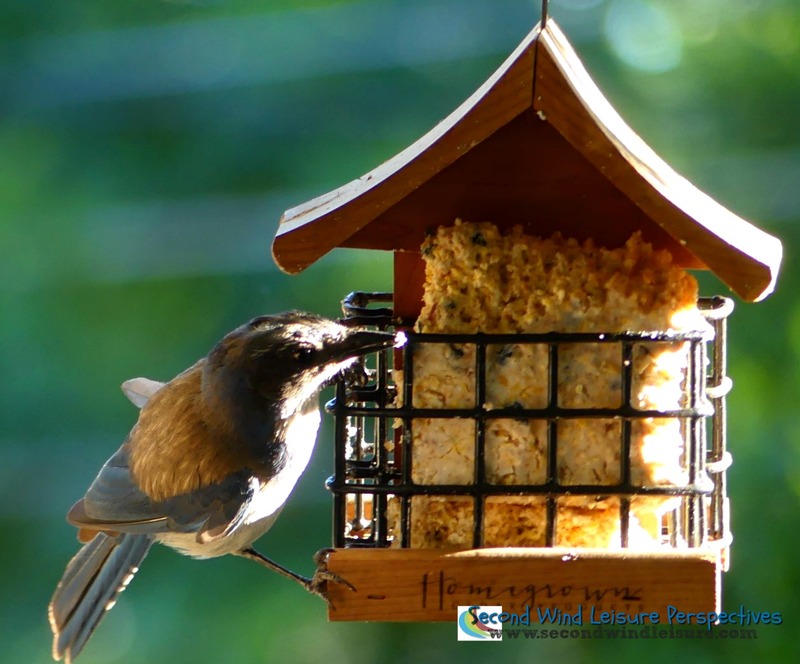 Nothing satisfies a hobby photographer more than capturing great close-ups of birds feeding. Is a hummingbird really ever satisfied? 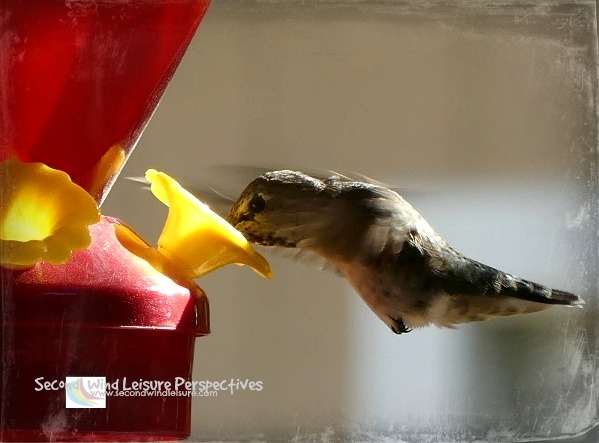 Incredible pictures… as always 🙂 Two summers ago, we stayed in a campground that was full of hummingbirds. They are so magical, it took my breath away to watch them in action. Awesome! These photos are absolutely amazing Terri. We have hummingbirds just for the few short summer months up here in Canada. Am so fascinated how they can migrate such vast distances for such a tiny bird. I was lucky enough to see a hummingbird up pretty close – they are amazing creatures – you captured him/her beautifully Terri – thank you! Thank you Joan! They are something to see up close! Hummingbirds!!!! They are on my bucket list (along with fireflies) None in Australia, so I’m going to have to get to the US before I die so I can see them in real life – gorgeous photos Terri! Beautiful shots and beautiful backyard too! Amazing shots! My husband is obsessed with watching his hummingbird feeder and waiting for one to arrive. They are really fun to watch. We have several bird feeders and watch them every evening. They can be really loyal to “their” feeders! I am seriously jealous about your hummingbird photos. I can never get one. One day I staked out a spot and finally gave up and…just then…one came right up to my nose and just stared at me. Guess it thought I was a flower? 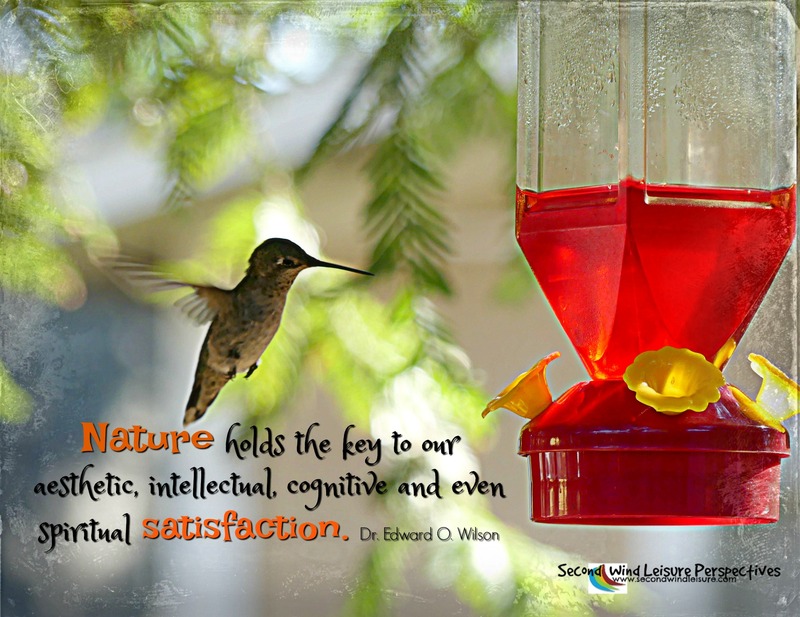 Sigh…..
Love the hummingbirds, they’re very special little creatures, don’t you think?! Thank you…they are! Such characters! I so agree!! These are wonderful! I must learn how to use a camera. I heard a noisy critter outside our patio and looked up to find a squirrel sitting in our staghorn fern, making lunch of the dried leaves. Took 3 photos only to discover I had not taken 3 photos. Sigh…..
Ohhhh, frustrating!! It can happen to anyone. Incredible pictures, Terri. We also feed the birds but we don’t get hummingbirds. Thank you Robbie! I have some bird bullies in the backyard–those bluejays are mean. Luckily the hummers ignore them! What a great view, Terri!! Is this outside of your house, or were you out and about?? Thanks, Jodie…in my own backyard!